We offer the full service in the scope of the approval of life rafts which includes i.a. such brands as: DSB, RFD, Viking, Stomil, Zodiak, Sae Safe, Shanghai Star Rubber (CSM). The life rafts we offer meet requirements of both SOLAS Convention. 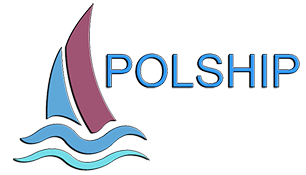 B-PACK – for passenger liners that take short international voyage and for unconventional ships that are under the supervision of Polish Administration. Intlatable life rafts are intended for sea ships whose life-saving equipment is subject to the requirements of International Maritime Organization, which are included in SOLAS 74/96. Repairs, maintenance and annual service of ship davits being used for a lunching of the boat as well as support cranes. Servicing and certification of lifeboats and launching appliances in accordance to MSC1/Circ. 1206. Load test of lifting equipment including cranes, derricks, lifeboats, davits etc. on board and ashore. We offer firefighting equipment for ships that is consistent with SOLAS Convention chapter II-2 and the International Code for Fire Safety Systems (FFS Code) Resolution MSC.98(73), as well as according to additional, individual requirements of the flag and Classification Society that supervise given vessel. Equipment is delivered with the required certificates that confirm its consistency with the above-mentioned provisions. We offer inspections of the firefighting equipment. Laboratory analysis of foam producing substance AFFF 3%.